The juice continued to flow into the cotton market, as new contract highs and new high closes were made during the week. Too, it was very satisfying to the bulls as the week ended with the market holding its strength. Most are beginning to realize that world stocks are not at the levels presumed, as well as the fact that U.S. ending stocks will be much lower – likely some 800,000 to 1.1 million bales lower than USDA estimated. U.S. export sales have slowed, as the 90 cent price level is rationing the available supply. Too, export shipments are running far ahead of the level assumed in the USDA estimating procedure. Demand remains strong for cotton, as on-call sales are being slowly worked down, but still at a level that is supporting the old crop July contract in the low to mid-90s. In turn, this is supporting the new crop December. 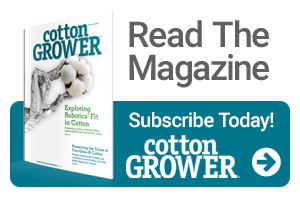 Coupled with the weather problems facing the U.S. Southwest and the Chinese Xinjiang region, the market will continue to be supported by fear of a less-than-adequate supply of cotton. The market is near equilibrium until and unless it concludes that the crop can survive the maladies of Mother Nature in those two production regions. In fact, those regions are two of the three most important production regions in the world. Therefore, with two of the major production regions facing difficulties, then cotton prices will be well supported for most of the year. Prices are now in the upper 5% of the historical price range for the 2018 crop. Equally notable, prices for 2019 are in the upper 10% of the historical price range, and 2020 prices are in the upper 25% of the historical price range. Thus, growers have been presented an opportunity for long term price risk management that is seldom seen. This presents a very rare opportunity. Demand remains the underlying factor supporting the market. U.S. exports were an eye-popping 586,800 RB on the week, with sales only a net of 6,800 RB of upland for the current year, another 106,800 RB of upland for 2018-19 and 12,200 RB of Pima. Yet, actual shipments were near 600,000 RB on the week. 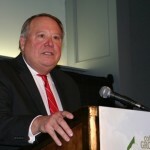 Consequently, USDA should increase its export estimate in the upcoming June supply demand report. If USDA forecasts are true to form, then its export estimate will trail the actual shipment pace and underestimate the actual level of exports. Additionally, world production should be adjusted slightly lower, world consumption slightly higher and world carryover down at least 1.5 million bales. It should be noted that the shipment pace is well above the USDA estimate. Too, China will remain a very strong buyer. We have noted that this season’s export sales to China have increased, and its purchases will further increase. Chinese demand has increased above its level of production, and cotton imports will continue to expand in volume. Another production area facing a slight delay this season is in the northern area of India, where 85-90% of the country’s cotton is produced. The monsoon is marginally late in that widespread area, but there is adequate time for the region to receive its normal moisture. Yet, given the problems in the U.S., China and Australia, the Indian situation merits additional attention. Too, due to recent production problems and its brown bag strategy, Indian production is under pressure. Mill on-call fixations on the July contract have continued to support the market. There are some 2.5 million bales of on-call sales versus on-call purchases (selling of futures) that must be fixed in the next two weeks. Thus, we can expect that the fixations will continue to support July futures above the 90 cent level. Growers should move as far as 75% sold for the 2018 production season. The December 2019 futures contract is above 83 cents, placing the current price for the 2019 crop in the upper 10% of its historical price range. Thus, growers are advised to price at least 20% of their 2019 expected production. The 2020 December futures contract, now at 78 cents, is in the upper 25% of the historical price range, and growers are encouraged to price 10% of their expected 2020 production.